CHAMP Inter-School TV Quiz Competition / Contest Registration Guidelines for Junior Secondary Schools Students Nationwide for 2019/2020 Edition | Tv Quiz Show. Dear Parents, Principals, Teachers, Students we are happy to inform you that the 2019/2020 CHAMP Inter-School Tv Quiz Contest registration portal will soon be opened. Similar to Cowbellpedia Maths Competition Registration and InterswitchSPAK National Science Competition, CHAMP Inter-School Competition targets all Junior Secondary Schools Students across all schools nationwide. 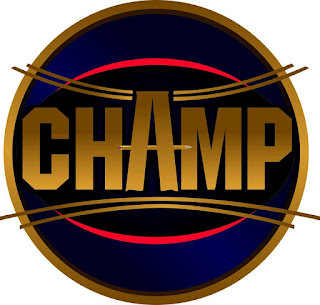 CHAMP is an annual inter-school TV Quiz for Junior Secondary Schools in Nigeria. 16 prestigious schools contest for the coveted Gold trophy and title of the best Junior Secondary School in Nigeria 2019. CHAMP TV game is in Two Halves: The First Half which is the Introductory Round and the Second Half which is the Specialty Round. In the first half of the game, Six big tackles comprises of General Questions while the second half game comprises of six subjects namely: Numeracy, Natural Science, Technology, Algebra, Trivia and Computer Science attempted by competing teams. Each team has got three buzzes each for individual school representative and the first team to press the buzz up is required to answer that question within a five second window. The best school would be awarded a gold trophy and gold medals for the students, Alongside bragging right as Nigeria Junior Secondary School Champion. The Registration guidelines will be published here as soon it is been made available, but meanwhile you can checkout your popular educational programme for JSS Students (CHAMP TV QUIZ) on their YouTube channel via https://www.youtube.com/channel/UC6WaQM85sFmEPl1J7RBdtZQ … for some of the previous season videos. BookMark this Page and Consider Subscribing to be Informed when the Registration for 2019/2020 commences. SEE ALSO: CHAMP Inter-School TV Contest Media Schedule 2019/2020.